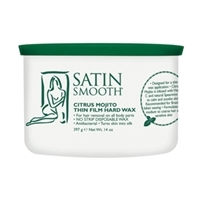 The ideal wax kit for beginners, our Satin Smooth® Student Wax Kit features our best top-of-the-line tools and materials. Natural – pure and simple. Contains soybeans, honey, chamomile, palm oil and rapeseed oil. Citrus Mojito soothes and moisturizes skin with Vitamin C and Natural Spearmint Oil. Formulated with enriched extracts from Calendula flower and the Tea Tree plant, which calm and soothe the skin and prevent inflammation. Formulated with enriched natural cherry fruit extracts and essential oils of Vitamin E which soothe skin and protect from irritation. Developed for fair complexion and thin skin such as preteens, teens and first time waxers. 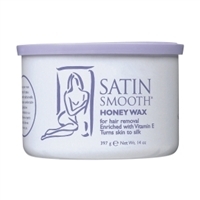 Recommended for dry, dehydrated skin, it is an all-purpose creamy wax especially designed for thick, coarse and curly, stubborn hair. Natural calming extracts penetrate pores to relax and release hair folicles. 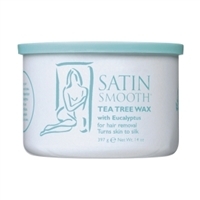 Alleviates tension, relaxes hair follicles and creates a soothing waxing service. For use on all areas but formulated to spread thinly and easily over large body areas. The organic formulation contributes to a soothing application and flawless hair removal process. Designed to cool and moisturize while reducing irritation.